This workout is an entry in our annual Bootcamp Ideas competition from Seva Martin. Each exercise has a specific amount of reps to complete (quota), this can be done in any specific order and as many or as little amount of reps at a time. Once an entire exercise has all of the reps completed = you no longer have to do that exercise. For example, Mary starts with the Squats and completes 20 reps. She has 40 remaining but moves onto Push-ups and completes 10, she has 30 reps remaining and moves on elsewhere, etc. This workout can be monitored and built/improved on by adding more and more repetitions each time someone attempts it. So Tier 1 would be 750 reps, Tier 2 would be 800 reps, etc. Gradual increase but keeping the weights on each exercise to a minimum can mean all fitness levels can do it and challenge against themselves! Technique is still important and must be kept on point and rest times are up to the individual, however they have only 40mins to complete their quota. Different strategies are adapted depending on the person. One can try and attempt as many reps in one go or another can pace themselves and do 10-20 reps per exercise until they’re all ticked off. Someone else might have favourites only to realise that they’ve left their weakest exercises last, giving the PT a perfect idea on what their clients can work on more. I am a one on one private PT that has been in the industry for over 5 years. I play in the Western Australian Football League (WAFL) and am studying to become a high school teacher at university. 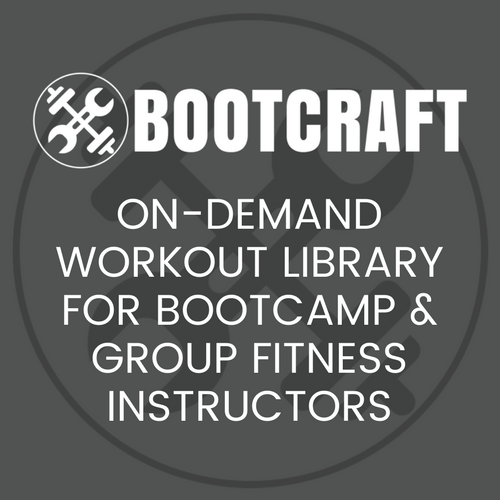 This workout is an awesome entry to our Annual Bootcamp Ideas Competition. Well actually it’s a competition and a give away. Read more about our Workout Competition.